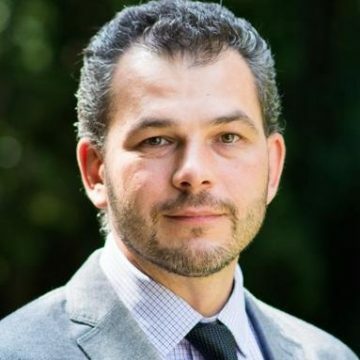 Evgeny Kaganer is an Associate Professor at IESE Business School where he teaches MBA and executive courses in digital business, IT strategy, and dynamic organization. His research and consulting activities focus on online social and mobile technologies and their impact on individuals, organizations, and business models. His current work explores digital transformation of business and its effects on strategy, leadership, and management competencies of senior executives. Evgeny’s research has appeared in premier academic and business journals, including MIT Sloan Management Review, Communications of the Association for Computing Machinery, Journal of the Association for Information Systems, European Journal of Information Systems, and Journal of Computer-Mediated Communication among others. His work on the use of social and mobile technologies in business and education has also been widely cited in major media outlets and blogs, such as Financial Times, Business Week, CIO Magazine, ZDNet and San Francisco Chronicle. He has extensive experience working with senior executive audiences in Europe, North and South America, Middle East, and Russia. Evgeny has taught and directed custom programs as well as consulted and conducted research with multinational companies, such as HP, Oracle, Cisco, Ericsson, Abbott, Desigual as well as several high-tech start-ups. Currently, Evgeny also serves as Academic Director for Learning Innovation at IESE Business School, helping the school navigate digital transformation of the business education space.